Control those luscious locks of yours with this 50s Cat Hair Bow in Teal! 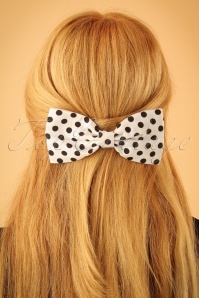 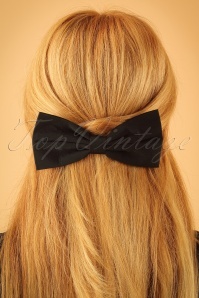 It doesn't matter if you're wearing your hair up or down, this bow clip adds a fun twist to any hairstyle! 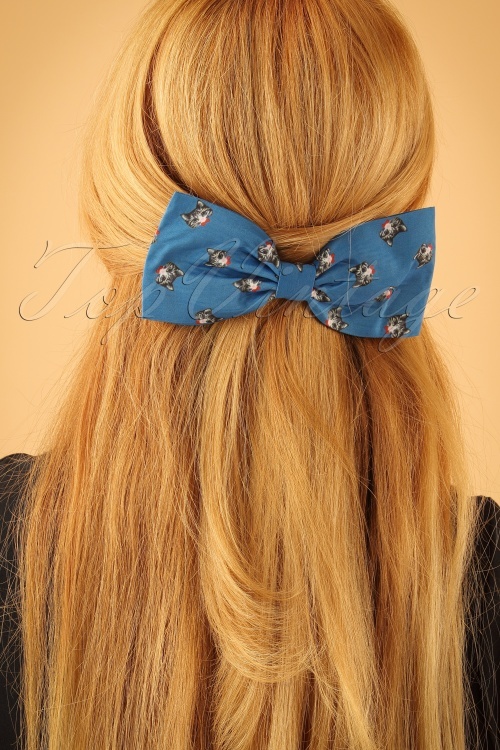 Made from a smooth fabric in teal, featuring a cat print and finished off with a silver toned clip so you can wear her anywhere you want and it stays in place all day. 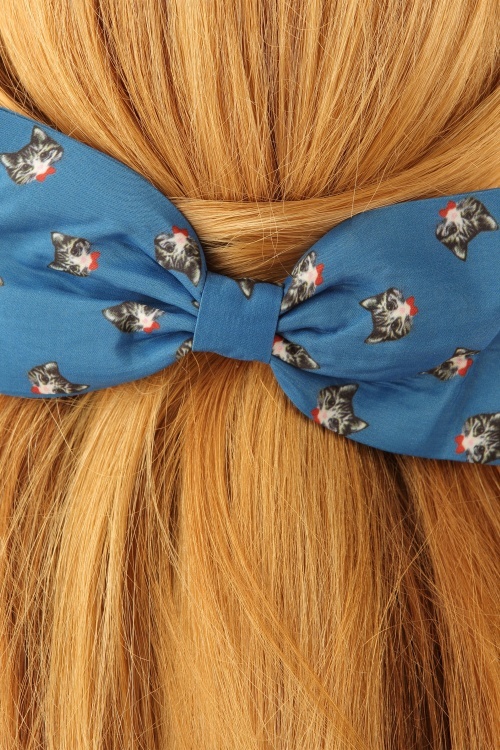 Purrrfect!